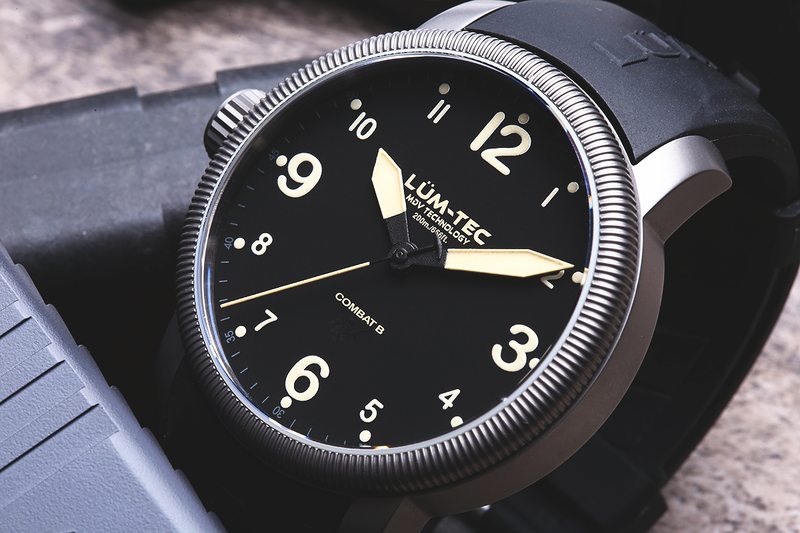 The Lum-tec Combat B series of watches is by far my favorite to wear. Here is a macro shot of a limited edition destro version, no date, they made at my request last year. If you are a shooter who wears watches you know that a nice sized crown can and will dig into your left (or right) hand. The destro version of a watch makes it just that much easier to go about your business and still have a fantastic time piece.